I enjoy your blog and the recipes and beautiful pictures. 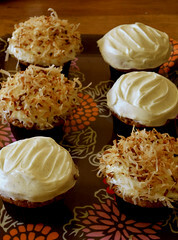 I wasn't hungry until I looked at the carrot cake cupcakes and now I have to go make some. :) Seriously, you have a great blog and I look forward to visiting again.